Prior to working with Case Controls, Tandus found itself dealing with a problem that has become all too common among those that specialize in manufacturing. The company was using three Sullair TS32/25 compressors with limited modulation capability along with two 700HP Cameron Cooper centrifugal compressors that included obsolete Quad 2000 controllers. However, each compressor was working independently, which forced operators to start and stop the compressors based on the needs of the Tandus plant. The compressors were installed in two different parts of the plant, meaning the operators were constantly on the move and fighting to keep the pressure generated by the compressors consistent. The operators found this task to be almost impossible, and the pressure swing within the plant often had a range of 10 psi. Staggered pressure setpoints at the different compressors were also used to attempt load sharing, but this actually led to compressors “fighting” one another, further contributing to the pressure variations. Most of the parts within the compressors were also outdated, which made repairing them very difficult. Case Controls fixed these issues by upgrading the Sullair compressors to AirStarPD-SAS™ controllers with spiral valve modulation and upgrading the Cameron Cooper centrifugal compressors to AirLogix® controllers. These compressors were installed in the same area of the Tandus plant, and a 3PX AirMaster™ load-sharing system was also installed to turn the compressors on and off as needed to meet the demands of the facility. A common air pressure sensor and one central control panel were installed. This new setup allowed for operators of the compressors to access everything they needed in one place. We made the upgrades and installations during the Tandus plant’s Christmas shutdown, allowing us to make improvements without requiring any drop in normal operations. Following the updates, Tandus reported staggering results and drastic improvements in efficiency. The AirMaster™ system was able to help the company manage their air header better, which eliminated most of the wasted air that was costing them a significant amount of money in energy costs – not to mention throwing the pressure of the entire plant off. Tandus no longer has to worry about the compressors working against one another, and if repairs are ever needed, the company will be able to find parts and complete the repairs without any major problems. The improvements have also provided an ability to more quickly respond to increases or decreases in demand, allowing compressors to operate when and as needed automatically. This improved pressure regulation has also made operations smoother and more consistent, delivering even air flow to all areas of the plant and making operations easier than ever. 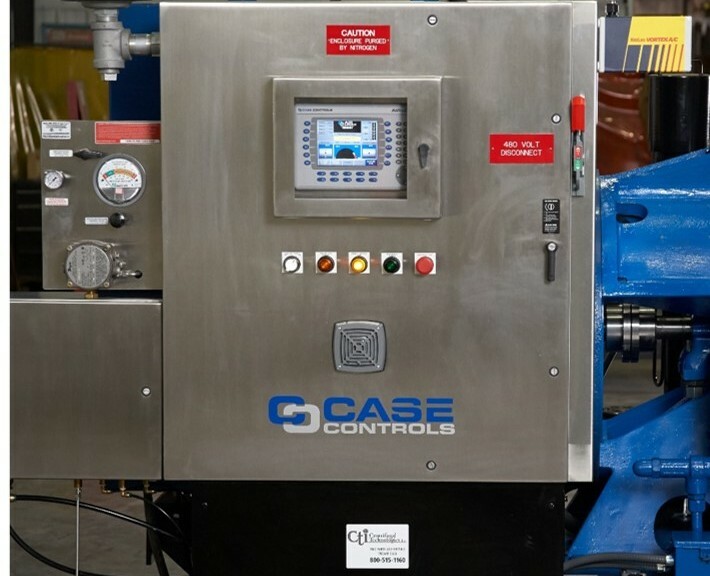 If you are running a company that is wasting compressed air and dealing with pressure issues, Case Controls can help you get your situation under control. We offer a wide range of products, like centrifugal controllers, rotary screw controllers and more, that can improve your operations and help you be more efficient. We can also provide a comprehensive assessment of your operations and create a plan to upgrade your operation. Call us at 812-422-2422 today and find out more about the full range of products and services we can provide for you.